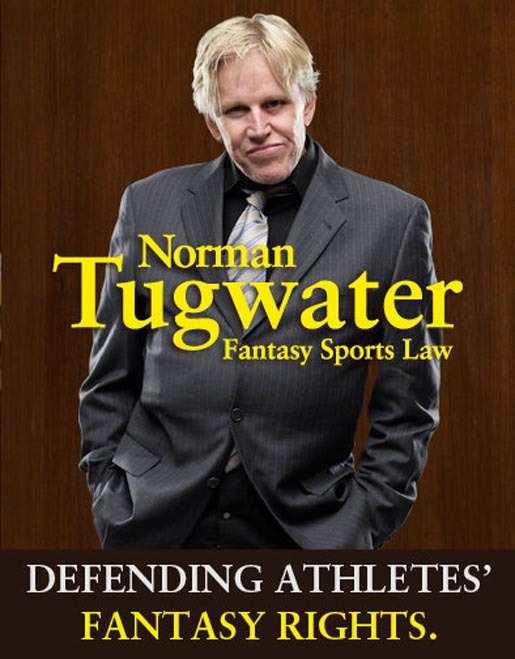 Vvitaminwater presents Fantasy Sports lawyer Norman Tugwater (Gary Busey) in an integrated advertising campaign online at www.tugwater.com and Facebook. Tugwater is the lawyer of Minnesota Vikings running back Adrian Peterson, and nothing will stop him from getting his client to collect what’s his. The campaign includes cameo appearances by basketballers Shaquille O’Neal and Kobe Bryant. The Tugwater campaign was developed at Zambezi, Los Angeles, by creative director Brian Ford, copywriter Aaron Small, agency producer Alex Cohn and account supervisor Dava Valikai. Filming was shot by director Jake Szymanski via Caviar Los Angeles with director of photography Antonio Scarlata, production designer Alexi Gomez, executive producers Michael Sagol and Jasper Thomlinson, producer Mike Farah and editor Ling Lee.